NOTE: Havoc is a stand-alone book set in the same universe as Mercy. This is Animal’s story. He is an enigma. Protective, dangerous, a loner. I really enjoyed his story. There was a complexity to him that you really got to know. I loved the way he and Nix related, as well as the relationship between him and Mareck. Animal’s history is both tragic and wonderful, because it created him. T is another entity that you really get to know. She is fierce and will do anything for those she loves. I love that she only loves once, but it can also be to her detriment. The secondary characters in this story help make it whole and the relationships that develop throughout are family connections that will take hold and never let go. Watching the romance really play out was both heartbreaking and emotional. There were several times when I wanted to yell and scream. Others where I wanted to just cry on behalf of whomever was needing it. It ran the gamut of emotions. I can’t wait for more – this story was a good, well developed romance. Love truly does conquer. After reading Nix and Becca's story, I was super excited to get Animal's story. I absolutely LOVED this story. Although I'll say I wasn't really sure how T was going to fit into the romance part of the story... in the end, it all makes sense. The tension and heartbreak that we feel throughout the story is very well written. Oh, the angst. Reading how Animal and T grew up and the situations they were dealing with... fantastic. It's so hard to say how much I loved it and what I loved about it without giving much away. The romance doesn't start early on, it is something that we have to see build and grow and then the epiphany. I can't wait to get Ember's story. 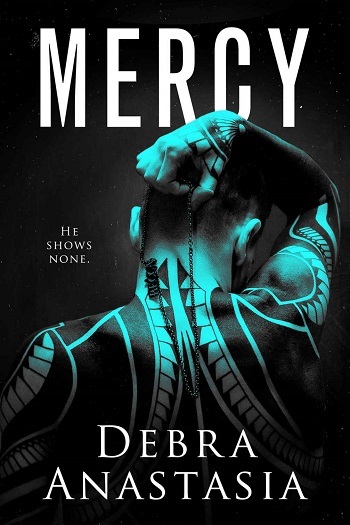 For reviews & more info, check out our stop in the Mercy Release Blitz. Debra lives in Maryland with her two kids, husband of twenty years and two dogs. The king of the house is clearly the tuxedo cat that is the size of a small donkey. Find about her latest adventures on her website. Reviewers on the Wicked Reads Review Team were provided a free copy of Havoc by Debra Anastasia to read and review for this tour.